we'll put 'em here as they come in. There was also a club Temperament Assessment. for the web site click here. A Great competition and a beautiful spectacle. and the 2015 Calendar, purchases here of course, were post free! 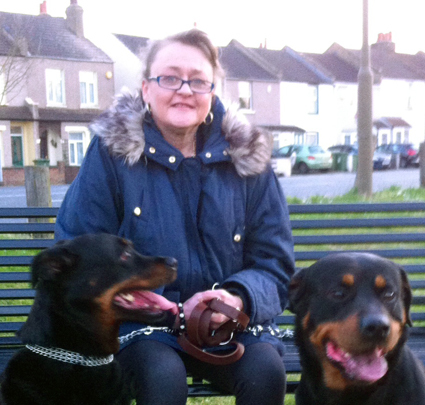 toward Rottweiler Charities and volunteer organisations. Thank you so much for the opportunity to add to our much needed funds. in the cold is nearly upon us! that have been donated by other lovely folks just for this purpose! AUCTION ACTION AUCTION ~ or even BUY BUY BUY~ whichever floats your boat. click here to go to the LASER site. we had the very best of a day. bought the RIN products, we are truely grateful to all of you! and raised £74 for RIN. Simply by not saying anything! A	sponsored Silence she did! it would cost for a month long one! for again donating a lovely Cream Tea. Click on the photo to gain further information about either patron. 44 Sister Jo; 77 Val Howells and 100 Phil Jenkinson. we just wish you all could have won! deep to swell our funds with a super £600 plus total for the day. Thank you, Thank you, Thank you very much for all the support! of just £5.00 plus the first class stamp. Don't forget to add your phone type to the box provided though! The second is a car window sticker. This is our logo 'head' with RIN web address. And at only £3.00, its a lot cheaper than a tax disc! was mis-use of a Father!! Natalie Softley has gained sponsorship for an Ice-Water pour over her dear ole Dad! We'll post a link to a video as soon as we lay our mucky little paws on it. doing something you might raise money for RIN by abusing yours, Or indeed, some one else's! Just click it will bring up an email for you to use. you can watch the video of Daisy on drop box click here. We had a good August, hope you did too! Digswell on Saturday 19th of July. many many thanks for the space, the welcome and everything! We had a wonderful day here and we must thank everybody that came to support us too. You can see their website by clicking on the logo. We had a good couple of days here too, again thank you for all the support. 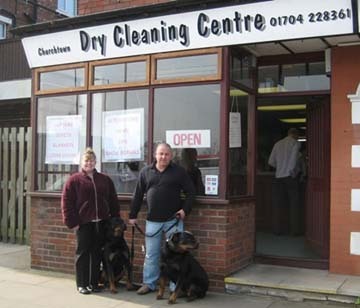 Gwen, David and Sarah Morgan'on the stand' ~ Ten year old Freddie greeting potential customers! Many Thanks too to Show Dogs Freddie and Norma who graced our stand sporting those lovely neckerchiefs. 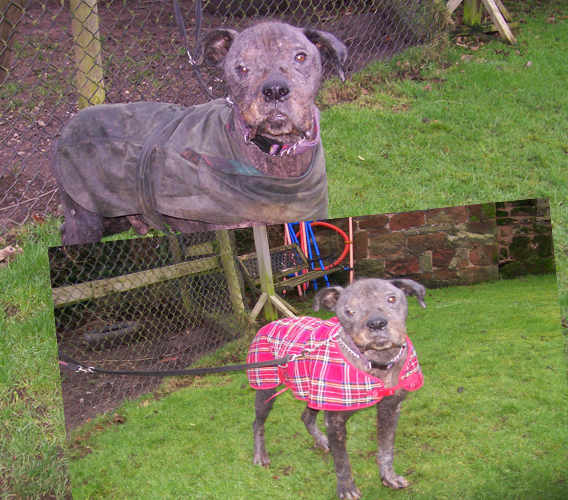 And we had welcome vistitors from the re-homing programme, you might call them ex-pats! E're Wos 'e doin' is 'e nickin' summat! 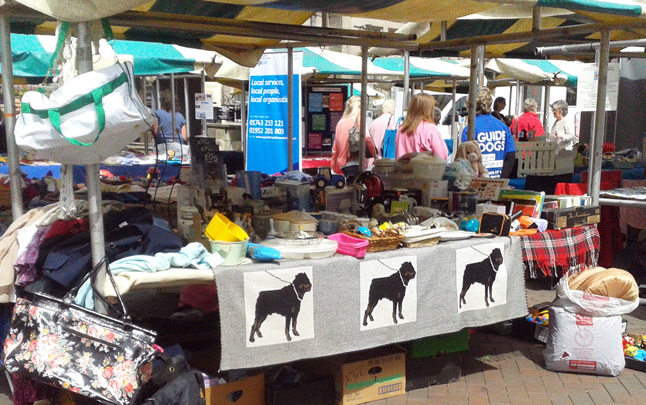 with a companion dog show, raising over £200. We should like some detail and if possible a photo or two. if you can help with this please email by clicking here. Thank you very much Jemma! Our Gwen's been at it again! but it was a glorious day weather wise and she took a tidy sum toward funds too. Many Thanks again go out to Gwen! Proved again to be well worth the effort for raising funds. and by show goers at the Club Show. Left to Right, Mary, Zelda, Jane, Carol & Sarah - thank you very much for the prizes. Not the first donation either, thank you very much. Baa Baa Blacksheep have you any wool? Barbour types & duel purpose, fleecy / rainproof overcoat ones most through the 'Amazon Wish List'. Susan Gunn, Donna Chambers, David Wright, Margaret Fordham, Di & Trevor Simmons & Sue & Pat Reehal. some of you wished to remain anonymous, our collective hat is tipped to you too, thank you. so we can thank you here too. We are so grateful of your generosity, see Ringo smiling and Eddie playing with a donated 'Boomer Ball' below! here's 'Jimmy Mac' having had some spent on his entropian problem. The love and care come free! JimmyMac, having been fitted with his satelite dish seemed to enjoy his new found super-power' of directional barking'! And here is the 'New Look' Jimmy Mac he says please thank all the folk who donated to get rid of my eye irritation! So, Thank you all those folk that donated towards Jimmy's Eye op! Kim came up with the 'Wish List for Christmas'. It produced loads of treats for the Dogs in our care. 'Burns Night' coat is lovely. brought him, one via the Christmas wish list is actually thicker and a 'two in one' for even colder weather. His Lovely Tartan Coat was donated by the Priestley Family. Eddie and a donated 'Boomer Ball' (and he still hasn't managed to pop it)! your generousity continues to both humble and amaze us. The Amazon wish list was so successful we will run it again later this year. Margaret Fordham and her wonderful clients at Ayrshire Dog Care for very generous donations. 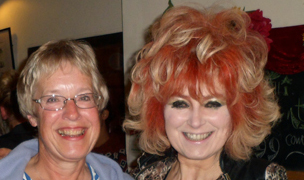 She is also a patron of our sponsorship scheme. where you want them to be, this has to be your number one consideration. Click here to go see for yourselves! sorry, that's Slim'A'Thon in aid of RIN. 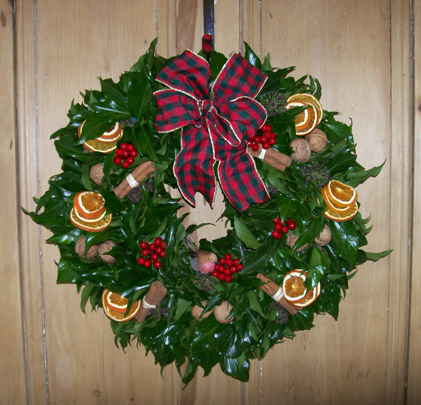 How Much is a Christmas 'Wreath' Worth? Well, its worth what you can get for it! copies are still available at our online shop and are POSTAGE FREE! 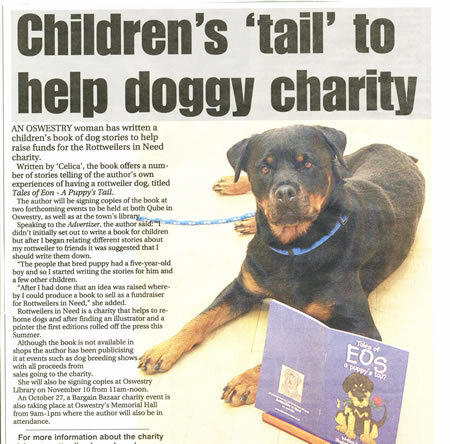 for their continued support for Rottweilers in Need. Their collection box continues to bring in a much needed and steady income. Please keep up this excellent work!